Byron Reese is the CEO and publisher of the technology research company Gigaom, and the founder of several high-tech companies. He has spent the better part of his life exploring the interplay of technology with human history. Reese has obtained or has pending patents in disciplines as varied as crowdsourcing, content creation, and psychographics. The websites he has launched, which cover the intersection of technology, business, science, and history, have together received over a billion visitors. He is the author of the acclaimed book, Infinite Progress: How Technology and the Internet Will End Ignorance, Disease, Hunger, Poverty, and War. He lives in Austin, Texas. "Reese frames the deepest questions of our time in clear language that invites readers to make their own choices. 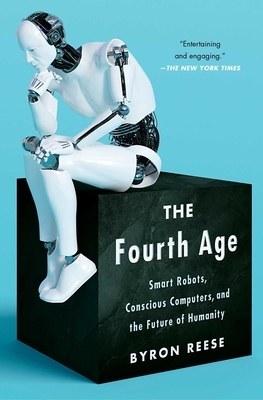 Using 100,000 years of human history as his guide, he explores the issues around artificial general intelligence, robots, consciousness, automation, the end of work, abundance, and immortality. As he does so, Reese reveals himself to be an optimist and urges us to use technology to build a better world." "Timely, highly informative, and certainly optimistic."